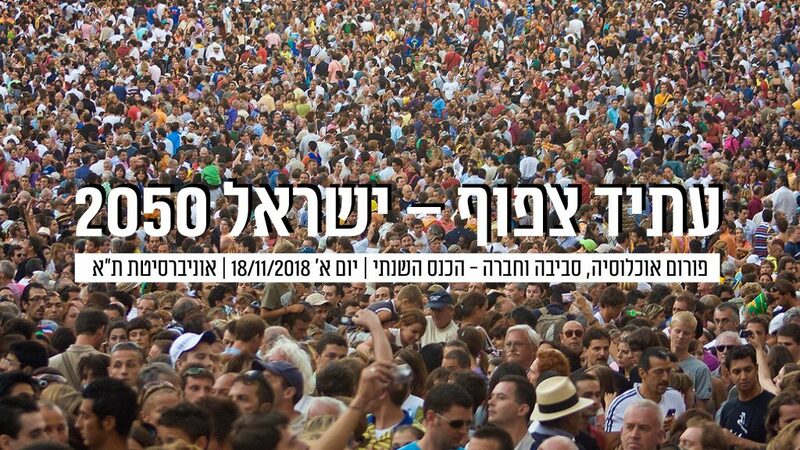 During the conference a new report will be presented: “Crowded Future – Israel 2015” – that sheds new light on the detrimental and dramatic effects of a fast growing population on our future. 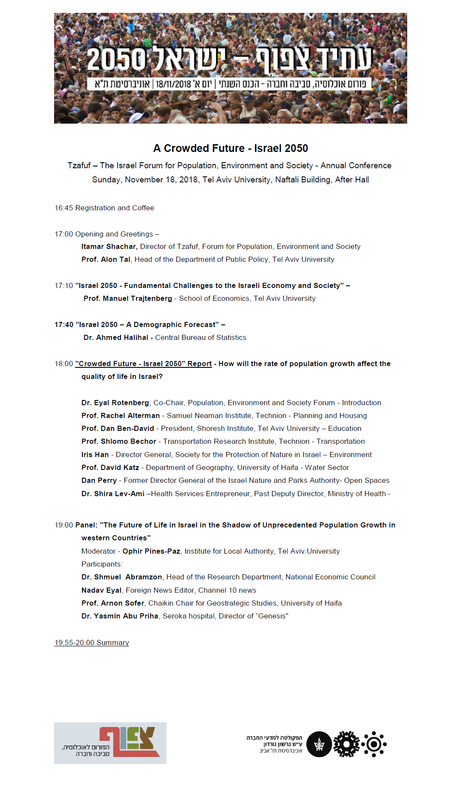 We will host, in TED format, the leading researchers in the field in Israel who will tell us about the effects of our population growth on the future of the economy, education, transportation, healthcare, water supply and open spaces in Israel. Afterwards, a panel of public servants, government officials and academics will discuss the report’s results. The conference will take place on Sunday 18.11.18, from 17:00 to 20:00. Tel Aviv University, Naftali building, After Hall, ground floor. Participation in the conference is free of charge but is subject to pre-registration.